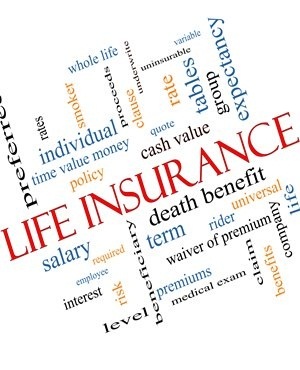 I have a life cover insurance taken up in 1990 and at the moment my monthly contribution stands at R520. Recently I was contacted by an independent financial adviser who recommended that I cede the policy altogether and put the proceeds into an investment portfolio to be monitored by him. Considering that I am 53 now, is this advice worth considering? It is unfortunately not possible to give a definitive yes or no response to the question whether the advice provided to the customer was in his best interest. It is possible that the customer's circumstances could have changed to the extent that he no longer requires the life cover provided by the life policy and he would be better served by converting the fund value of the policy in an investment vehicle with an appropriate investment fund. In order to have arrived at this conclusion, the adviser would have had to consider the customer's will, marital regime (if relevant), dependent needs (if relevant) as well as the financial position of the customer's estate. It is, however, also possible that the advice was given merely to get the funds into an investment vehicle to allow the adviser to derive an ongoing investment fee from the invested funds. It is often difficult for customers to determine whether advice was given to suit the customer needs or the adviser's needs. If the advice is intended to serve the customer's needs, the adviser would usually analyse the customer's needs and circumstances by asking many questions and gathering all relevant information and documents (such as details regarding all existing investment and life cover products). Most importantly, the adviser would be able to clearly explain to the customer WHY the recommendation is being made: what are the benefits and consequences of the recommendation. A customer should never act on a recommendation if he is not comfortable that he understands all the relevant implications. If still in doubt, the customer can always also obtain a second or even a third opinion from other financial advisers. *Do you have a pressing financial question? Post it on our Money Clinic section and we will get an expert to answer your query.